Welcome to our secret hideaway on Singapore’s northeast coast, sitting on the water’s edge. Escape the hustle and bustle of the city and relax to the rhythm of the coconut trees swaying in the wind. We invite you to join us in our version of paradise. The Club’s origins go back to 1936 when the Changi Garrison Yacht Club was formed by a group of British soldiers from the Royal Engineers stationed in Singapore before World War II. The Club has undergone many changes since then. Parts of the old architecture remain and many photos of the club in its early days still adorn the facilities, contributing to its rustic charm. Today, the Club has full amenities including food and beverage, a swimming pool and chalets. In addition, swing mooring is available to members and visiting yachts. At CSC, there are activities for all ages! There is a variety of competitive and social events which are permanent features on our calendar. 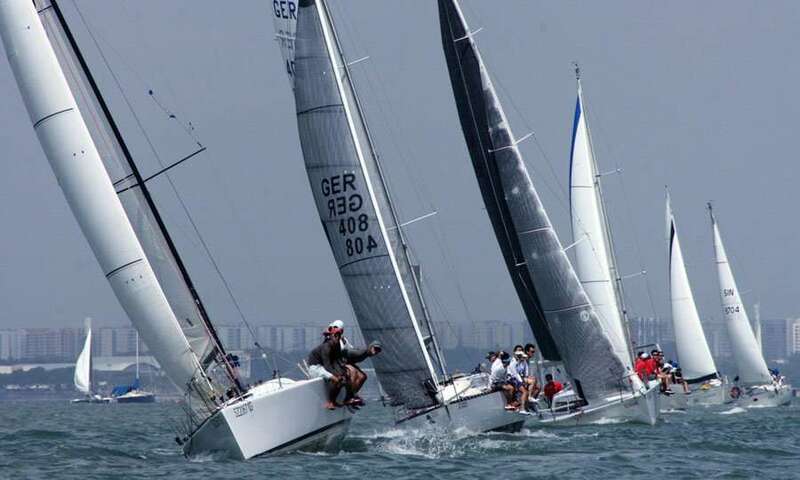 Some of the key events are: the annual Ambassadors’ Cup, Commodore’s Cup, New Year’s Eve Party, CSC Optimist Championships and various National Regattas. We have our active weekend Sunday Series & Saturday Twilights, Monthly Dinghy Races, Members’ Night and regular social-in-the-city organised exclusively for members. In addition, the club has an ongoing Sailing Programme for schools, and is an ideal location for customised team-building and corporate events.